You've finally arrived at your sunny destination and are ready to embark on a week (or two) filled with adventure and relaxation. You're beaming as you stroll through the hotel lobby to check in and start your vacation, and can't wait to snap a group photo and share it with your friends and family to let them know that you've arrived safely. There's no better time than a fun-filled vacation to snap that perfect family photo or group shot, and with a hotel or resort as the travellers' home base, it makes perfect sense to provide guests with an outlet to share their excitement, capture special moments, shoot high-quality pics, and post them quickly and seamlessly as they're passing through. Here's why it makes perfect sense for hotels and resorts to add on-site TapSnap photo booths. Hotel lobbies often become crowded waiting rooms, with guests waiting to check in or out, waiting for airport shuttles, cabs or Ubers to pick them up and whisk them off to their next destination, or simply waiting for their companions to meet them before heading off on the day's adventures. Having a photo booth in the lobby provides guests with a great way to have fun while they wait! 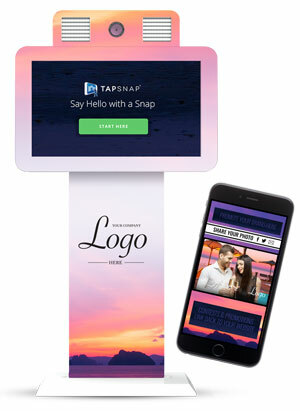 TapSnap's photo kiosks allow guests to tap, snap and share their photos to social media and via email with the touch of the screen, allowing them to share with their friends and followers quickly and seamlessly. The photos can be branded with your logo, and with all of those Likes, Comments, and Shares through social media, new audiences are being exposed to your brand! The FOMO will be fierce as the friends of those guests wish they could be there to participate in the fun. Add value to their stay. Don't just be the place to stay, be a part of the vacation fun by offering a spot for guests to gather, take photos, and connect. The opportunity for your guests to take high-quality group photos while they're on vacation will enhance their experience, add value to their stay, and encourage them to talk about their experience with their friends - potential visitors for you! 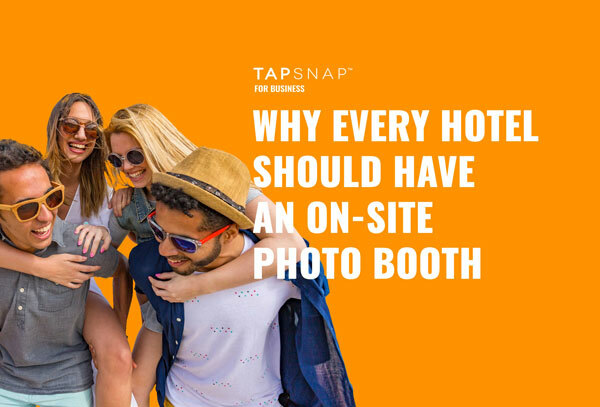 Learn more about how you can add an on-site TapSnap photo booth to your hotel or resort and entertain your guests while boosting your business today.